A hybrid comprising elements of fighting and card games that features incredibly simple controls. The game is set in the Dragon Ball universe first featured in a manga created by Akira Toriyama and a following anime series. The game introduces an entirely new character created by the manga author exclusively for this game. Another fighting game by Spike, based on the cult manga created by Akira Toriyama. The rich plot is based on the story told in the Dragon Ball Z series and serves as the story background for subsequent duels between the most famous characters of the franchise, including Goku, Cell, and Vegeta. Combat takes place on spacious and varied arenas, while fighters use a rich arsenal of attacks and special abilities, the most notable one being the iconic Kamehameha. Compared to the previous works of the studio, Dragon Ball Z: Ultimate Tenkaichi offers a reworked, user-friendly interface and simplified controls. Attractive graphics, faithful to the manga original, as well as dynamic soundtrack are among the game’s strengths. We can play both solo and with our friends — the multiplayer mode allows us to play over the Internet and in split screen mode. 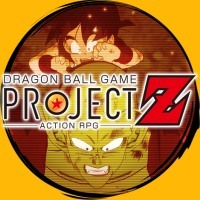 An action MMO game with RPG features, developed by NTL Inc. with the support of Akira Toriyama himself, who created the universe of Dragon Ball. This allowed the developers to faithfully recreate not only characters, but also locations from the animated adaption of the original manga. Our adventure in Dragon Ball Online begins with the creation our own warrior, starting with his or her race: Human, Namekian or Majin. Each has different profession and skills, while the looks can be modified in a complex editor to fit our preferences. Gameplay focuses on exploration, completing both main and side quests, fighting with enemies and developing our hero. The story itself is set 217 years after the events of Dragon Ball, when Earth is governed by an organization known as Dark Eye, under the leadership of Trunks – a mysterious member of Time Patrol. Visuals are one of the strong points of the game, with three-dimensional graphics retaining the style of the famous Japanese manga artist. 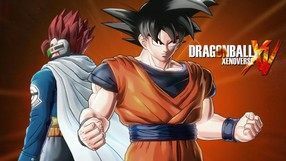 As of the end of November 2013 – three years after the Dragon Ball Online’s release – the servers went down and the development of the game was halted. 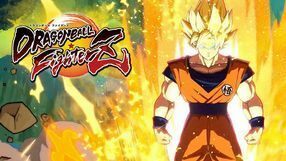 A dynamic 3D fighting game set in the Dragon Ball universe popularized by anime series and manga. 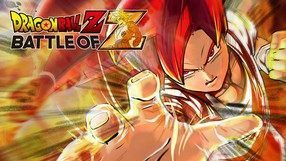 Dragon Ball Z: Battle of Z was created by ARTDINK - a Japanese developer popular for such titles as A-Train HX or Gundam Seed Battle Destiny. The players were offered a chance to assume the roles of their favorite heroes, such as Goku or Vegeta, as well as to participate in spectacular duels both in mid-air and on the ground. The game features several modes, such as a single player story campaign or an extensive multiplayer mode for up to 8 players. The game offers cel-shaded 3D graphics and because of that, resembles Dragon Ball comic books and cartoons to a large extent. An RPG based on the cult-classic manga by Akira Toriyama. The game was developed by Ganbraion, with Konami acting as the distributor. We assume the role of a boy named Tekka, who along with his friend Pinich participate in a tournament requiring the participation of five-man teams. The title includes most of the characters from the animated series. Additionally, we can create our own fighter. The biggest highlight of Dragon Ball: Fusions is the titular fusion of several characters into one powerful fighter, with the game introducing a gigantic number of less or more probable fusions. A production developed by Spike, based on the cult manga by Akira Toriyama. It is a classic fighting game in which the events from the Dragon Ball animated series serve as the story background for subsequent duels. In Dragon Ball: Raging Blast 2, more then 90 fighters are at players’ disposal, including 20 completely new ones. Heroes are different in terms available attacks and special abilities — the most notable one being the Kamehameha. Fights take place on varied arenas. Apart from the ones known from the game’s predecessor, the title features completely new battlefields. Compared to the original, the graphics were significantly enhanced (the advanced environment destruction is now not without influence on the course of a fight), while the camera system and controls were designed from scratch. The game also features the original Japanese dubbing accompanied by English subtitles. A two-dimensional RPG created by Webfoot studio, based on the cult-classic manga by Akira Toriyama. The player assumes the role of Goku, an undefeated fighter, and re-lives the events seen in the animated series. We begin our journey battling Raditz, and then visit the nether world on the King Kai’s planet. The next stops include encounters with Nappa and Vegeta, and duel with Freezer on Namek. In all, we visit sixteen different locations, completing various main and side quests. These events are rewarded with experience points, which can be used to develop our hero. During combat, we make use of a wide range of attacks and combinations, including the trademark energy wave, known as “kamehameha”. Additionally, the list of available attacks is complemented by the ability to transform into so called “super fighter”. Dragon Ball Z: The Legacy of Goku can be praised for its colorful visuals, inspired by the works of the world-famous mangaka. A compilation of two fighting games from Dragon Ball Z Budokai series, developed by Dimps Corporation. 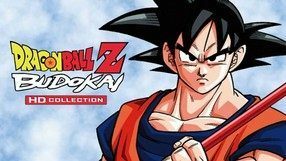 The package contains Dragon Ball Z Budokai and Dragon Ball Z Budokai 3 – titles based on the license of the cult-classic mamga created by Akira Toriyama. Each of the games sports improved visuals, video resolution having been upscaled to HD standard, and a re-recorded soundtrack. The player can decide whether he wants to choose the English version, or stick to the original, Japanese voice-over, which has been recorded by the actors known from the series. 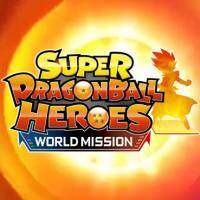 Aside from story mode, which is heavily based on the stories from Dragon Ball Z and Dragon Ball GT series, each of the games included in Dragon Ball Z Budokai HD Collection contains a multiplayer mode – we can invite friends for some offline gameplay, or compete with other players online. A mix of puzzle, action and board game genres from Bird Studio. The title is based on a classic anime, based on the manga created by Akira Toriyama. Players must create an undefeated team of heroes that will win against all adversaries. Gameplay is based on two pillars, the first being unique battles that focus on combining groups of colorful Ki balls. This results in a certain amount of damage being dealt to the opponent, depending on type of combination, and effects can take the form of eye-catching animations, resembling the animated series. We can also charge powerful, game-changing special attacks. The second part of the game takes place on a two-dimensional board – we move our character to collect useful items and money. Additionally, there is a simple system of character development. Dragon Ball Z: Dokkan Battle lets us play solo or with friends. The title is distributed in free-to-play model with micropayments – real money can be used to buy new character cards to our collection. Another fighting game based on the cult manga by Akira Toriyama, developed by Dimps Corporation. The players get to experience the events known from the original animated series, up to the fight with Cell. Subsequent storylines are presented in the form of film cut-scenes shown between duels. There is a rich set of characters at our disposal — including such characters as Goku, Raditz, Yamcha, Krillin, and the androids. Visually, the game features a style similar to the works of the Japanese mangaka, and the graphics are enriched with spectacular special effects that accompany various attacks. In Dragon Ball Z: Burst Limit, you can play solo or with friends, both over the Internet and in the split-screen mode. A multi-genre production including elements of action, adventure, fighting and role-playing games. It was developed by Avalanche software and based on the popular manga series by Akira Toriyama. 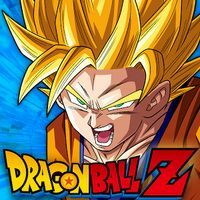 Dragon Ball Z: Sagas follows the story told in the Dragon Ball Z TV series — you play as the invincible Goku, who has to face more and more powerful foes, from Raditz, through Vegeta and Nappa, to Freezer and Cell. The gameplay consists on exploring, completing quests, and battling enemies. In combat, you use not only advanced battle techniques, but also powerful energy attacks, including the “kamehameha”. You can both in the single player mode or in the co-op mode for two players. The high-quality visuals were based on the original manga art. A continuation of the 2002 RPG, created based on the license of the cult-classic manga from Akira Toriyama. The studio responsible for the title is Webfoot, seasoned developer of Dragon Ball’s video game adaptations. The plot continues the story initiated in the first installment, focusing on an imminent end of the world, heralded by Trunks - a visitor from the future. At the beginning of the game, we assume the role of Goku, but the hero quickly falls ill, succumbing to a vicious disease, forcing us to take over other characters: Piccolo, Gohan, Vegeta, and Trunks. The gameplay in Dragon Ball Z: The Legacy of Goku consists of exploring a huge world, completing various main and side quests, and encounters with different adversaries. Our combat skills include a wide range of melee attacks and special abilities, amplified further by the transformation into a “Super Sayan”. Visuals are one of the strong points of the game, and are inspired by the craft of the famous mangaka. Soundtrack contains music that is well-known to every Dragon Ball enthusiast. Another installment of fighting game series created by Dimps Corporation, based on the license of a cult-classic manga created by Akira Toriyama. 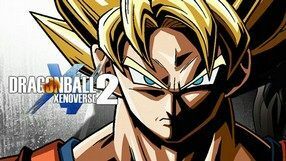 The players can assume the role of the most popular characters from the series, re-living the greatest events that took place in Dragon Ball Z and Dragon Ball GT series. While taking part in spectacular duels, we make use of not only advanced melee skills, but also of a wide range of special attacks, drawing from Ki power. 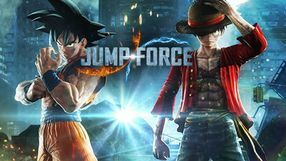 Additionally, developers introduced four new attacks (Teleportation Counter, Teleportation Tornado Combo, Dragon Rush Attack, and Bukujutsu Flight Mode), while the player has freedom to decide where he wants to go next, accessing side adventures that yield extra experience. Aside from the story mode, called Dragon Universe, the game contains gameplay variants that are based on duels with competitors controlled either by the AI, or by other players. The game sports visuals that are based on original manga’s style, while the voice actors known from the series assume the role of the individual characters. Another fighting game based on the cult manga by Akira Toriyama developed by Spike under the supervision of Namco Bandai. 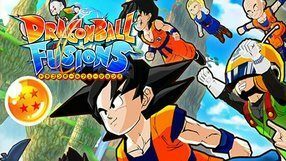 The players can take part in the events presented in the Dragon Ball Z animated series as well as previously unknown side episodes. There are over 70 characters at our disposal, including the popular heroes (Goku, Vegeta) and the main adversaries (Freeza and Buu). Duels take place on extensive, destructible arenas. Compared to previous works of the studio, Dragon Ball: Raging Blast offers more freedom of movement in the air and better combat system on the ground. The graphics as well as characters’ facial expressions are also more detailed. Apart from a single player story campaign, the title offers the possibility of playing in a competitive multiplayer mode. A battle game set in Akira Toriyama’s universe of Dragon Ball, developed by Arc System Works team. Players can choose from many varied game modes, starting from story campaign, through special challenges, and ending on skirmishes, 1 on 1 or in teams. There's more than a hundred warriors from anime series and movies, including the most iconic ones like Goku, Vegeta or Cell and minor characters like Guldo, Videl or Nappa. 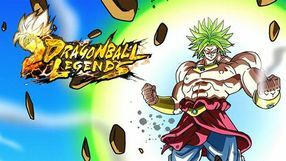 Most of them have unique, alternate forms – such as Super Saiyan, which let them execute stronger attacks, performing more effective combos and finishers. A distinct feature of Dragon Ball Z: Extreme Butoden is the tactical advantage that players can get by using the shape and structure of the arenas. All of this is presented in high-quality visuals, which take a lot after the legendary anime series.